Eastbaydox is a small breeder in northern California of miniature smooth dachshunds. We are located near the Oakland Hills at only 15 minutes from San Francisco. We have enjoyed raising our dogs making them an important part of our lives. We believe that the love and care we give to our puppies reflects in their temperament and our goal is to ensure that your new puppy will be not only a loving pet but a healthy and quality dog that are excellent representatives of the dachshund breed. We raise only AKC registered dogs with impressive pedigrees from reputable breeders. Beautiful Doxies – Beautiful dachshunds! All with amazing personalities and lovable kisses. Colorful Dachshunds – I’m a Reputable Breeder of AKC Miniature Dachshunds, lots of colors, coats and patterns. Desert-heir-dachshunds – Mini Dachshunds, Long & Smooth Coat types, in solids, dapples or piebalds. AKC/CKC Reg. 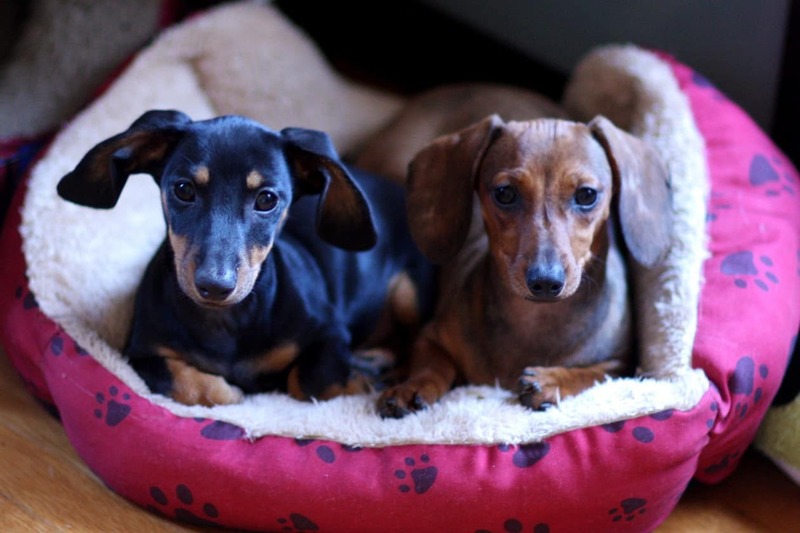 High Desert Doxies – I have only a few litters a year (7-8). I do not breed for quanity I breed for quality. Silverdachs Kennels – Beautiful CKC puppies! Vet Checked, UTD Shots/Worming & Featuring Neopar Vaccine!